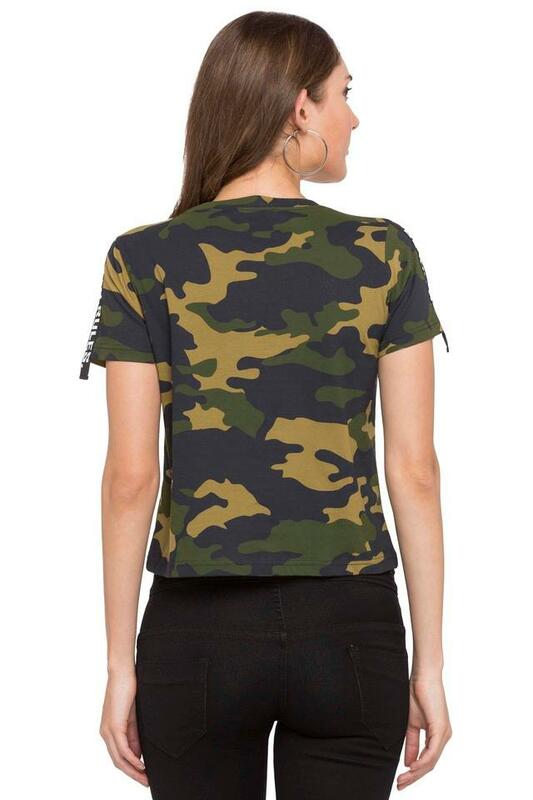 Add an extra dose of style with this t-shirt from Life. Its high quality look will not fail to catch your fancy at a single glance. 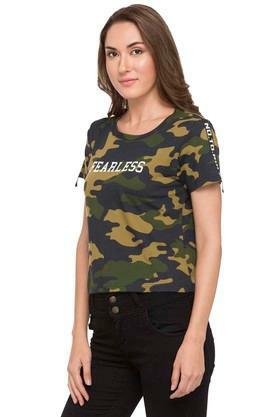 This camouflage pattern t-shirt features short sleeves and round neck that adds to its classy look. Besides, the use of a good quality fabric in its making further ensures that you stay comfortable all day long. 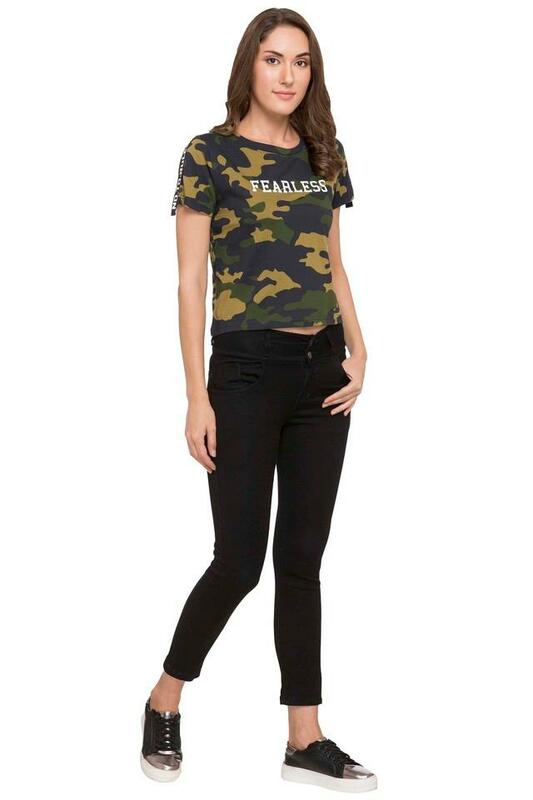 Embrace your inner rebel chic as you step out in style, wearing this t-shirt. Team this t-shirt with a pair of casual pants and sandals for a chic ensemble.